90% of iAM questionnaires contain statements like, I am an over thinker, I worry what people think of me, I lack confidence and try hard not to show it. This week, as with every week I see, hear and feel in everyone the insecurity that stops us being ourselves at work. Also this week, research by LinkedIn was shared in HR Grapevine under the headline ”British workers are staying in roles they are unhappy in, with a lack of confidence preventing them from securing their dream jobs…” The study found that 42% of workers said a lack of confidence would deter from applying for a new position. We know that this applies globally. Patterns and cycles of your own behaviour that mean that you are compromising yourself at work. 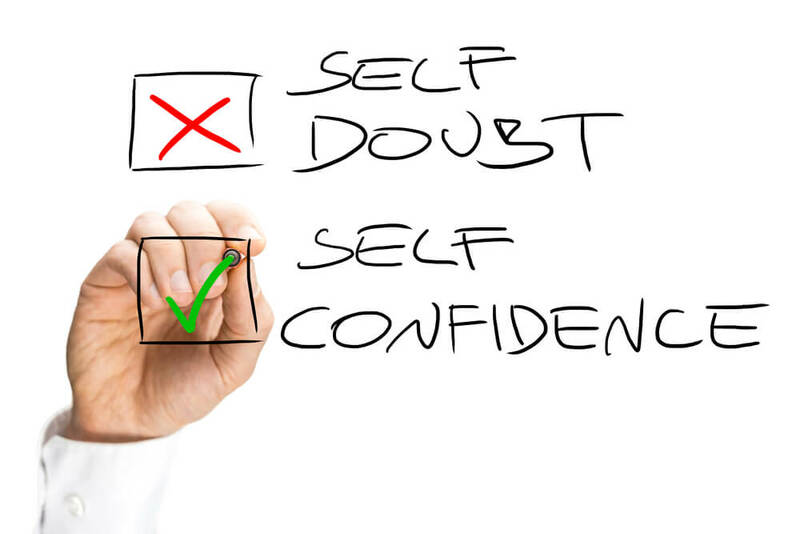 The minute we doubt ourselves, even the tiniest bit, we start to change our behaviour. We might push a bit more assertively (I hate that assertiveness behaviour is still being “taught” at work – urgh!). We might hold back and over think our approach, or in meetings, we may not jump in and say what we really think – and if we had, it could have changed the discussion. We start to conform, rebel, step up parts of ourselves that we then overdo. We take it all on ourselves or we start to avoid and procrastinate. Every day, every hour I experience this in you. What’s fascinating is that it is so easy to change! The average Courageous Counter scores of the questions “I don’t conform to be liked” and “I don’t let my mood get affected by others” are around 4/10. Often lower. These two simple examples of blockers to being yourself at work can be changed in an instant. How? You choose not to let your mood be affected by others, by realising that they can’t affect your mood – only you can. You decide to be conscious of not changing yourself to fit and instead express who you are with enjoyment. More difficult is “I like myself, I am one of the best people I know”. What is wrong with liking yourself? The normal answer is it sounds like arrogance – especially in senior leaders. What rubbish! The cost of withholding yourself for fear of arrogance makes you guarded, inauthentic and less approachable. It also reduces creativity and your ability to maximise yourself and your business results. So, what is the answer to reversing this to liking yourself, and seeing that you are – when you are being your real self – in fact one of the best people you know? After all, there is a reason why people recruit in their own image! The journey to liking yourself begins with not distracting yourself from you. Start conversing with you. Spend time just with you. Notice when the voice in your head starts to tell yourself negatives and push it away – this is not you. Most people have a low score on their relationship with themselves – so start building yours. You are permanently in good company – because you are with you! Make the most of this and enjoy being you! Here are some watch outs to reflect on and notice – are these making you stumble? Do you drift through your day and not remember the details? Do you dread going to work or who you work with? Do your moods change throughout the day or are they steady? How often do you lose your temper or withdraw? How much do you withhold your opinion? How guarded are you? Do you have to know people well to let them in?